The staff was very friendly and I was in and out fast. The main physician was a male who was veryabrupt but I was mainly treated by a female resident who was very nice. I was in and out fairly quickly but the staff did not seem a hundred percent sure on the procedures in regard to both scheduling the next appointment and also what steps needed to be taken while I was in my appointment, possibly because she was a resident. Overall the experience was good and I will be going back. The staff was very friendly and I was in and out fast. The main physician was a male who was very abrupt but I was mainly treated by a female residentwho was very nice. I was in and out fairly quickly but the staff did not seem a hundred percent sure on the procedures in regard to both scheduling the next appointment and also what steps needed to be taken while I was in my appointment, possibly because she was a resident. Overall the experience was good and I will be going back. PLEASE NOTE: We accept patients ages 16 and older. All patients must include their insurance Member ID when booking an appointment. Please complete the patient check-in form and bring it with you to your appointment in order to improve your office experience. Dr. Nazneen Noorani has 15 years of experience and is Board Certified in Family Practice and Hospice. 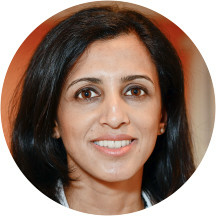 She received her medical degree from Kasturba Medical College and completed her residency training in Family Medicine at Montgomery Family Practice in Norristown, PA. Dr. Noorani completed a fellowship training in Hospice and Palliative medicine at Zablocki VA Medical center in Milwaukee. Dr. Noorani and her family moved to Florida in 2011. She has been married for 20 years and has two children. The people were very nice and understanding! The wait wasn't very long and they explained things thoroughly, and they work well with my (admittedly odd) schedule. Dr. Noorain is the best. The staff was wonderful and professional. It was my first visit, and I felt I made a excellent choice. The doctor and staff were very professional. They were attentive and addressed all my concerns. Great clinic. Everything I have went in for I have gotten done in record time. Staff is great and very friendly. Medical professionals are sharpe and well trained. Have been going here for over a year now. Doctors are very professional, staff the same. Would really recommend. It was as expected. Very clean office and professional staff. No complaints @all I’d recommend this place to my friends and family. Staff is friendly and helpful. Good location. Waiting room is big and that's something that's important to me! I'm happy that I found my new primary care dr.
Dr. Noorani was wonderful, as was her staff. I left her only because of distance and traveling issues. I highly recommend Doctor Noorani, she is very professional and knowledgeable. The staff was very courteous and nice. Still getting to know her and looking forward to establishing a new relationship with the Doctor. Oh my gosh. Where to begin. I am still doing cartwheels from my visit earlier today. What a phenomenal woman she is. Extremely patient, very detailed. For a first time patient, she took the time to listen to everything, always keepingeye contact and asked the right questions to extract important information needed to analyze my condition. Very informative, and extremely caring. I relocated from NY to Tampa and needed to find a new PCP. I have to say i have NEVER had a PCP as wonderful as Dr. Noorani. I am truly pleased to have met her and will be honored to caal her my PCP. Thank you ZocDoc. Dr. Noorani, was very nice, 1st time there,she took interest in you and didn't act like she was in a hurry to get to the next patience like most doctors. She was very informative. 1st doctor that I have been tothat made me feel comfortable. Would recommend her to anyone. Dr. Noorani is the most thorough, compassionate Dr. I have ever met. I would recommend her without hesitation. Dr. Noorani is amazing! All the office staff is friendly. Dr. Noorani took the time to listen to my concerns and talk about different medications with me. It was nice to have a doctor that actually listens and doesn't try torush out the door. Already scheduled my next appointment with her. Dr. Noorani was very thorough and really nice. I am very satisfied with my visit and I would recommend her to anyone looking for a primary care physician. Dr. Noorani's very patient, friendly and professional. I felt so comfortable while visiting her office. My visit was exceptional. Dr. Noorani is a people person who truly cares about her patients? She was professional, reviewed my health issues and answered my questions. It doesn't get much better than this. She was very nice and really listened to me. I highly recommend her. She listens to my health concerns and gave advice to address my condition. I will visit this doctor again and will recommend her to others. I had a great first visit with Dr Noorani. Great bedside manner, listened to all my needs and suggested the best course of action without always just picking out a medicine to prescribe. She is now our family physician! The complete practice was wonderful!! Slightly longer wait than I normally like but made up for it with great bedside manner and time spent listening to my needs. After years of being in Florida, I have searched for a doctor that makes sense for me, Dr. Noorani is absolutely fabulous. She listens and definitely knows what she is talking about. I am pleased! The appointment was nice, quick and to the point. I would recommend Dr. Noorani after this first visit. The ball is rolling in a good direction. Overall great experience. I'm a new patient & familiar in the ways of the medical field & how a successful clinic experience should be & they did ourstanding. What also made it a really good experience was that my appt wasfor 4:00 & I was literally 5 min away on my gps to their office & was stuck in a one lane road of traffic for 25 min! I called them prior to 4 and then during my time stuck in traffic & they were kind, understanding, & still took me in for my appt. They didnt have to because of closing times, but they worked with me. Thank you. Very mainstream medicine, but conservative with medication use. Great bedside manner and staff were very polite and professional. The office was able to get me in right away after a had an injury over the weekend! Thank you! The receptionist was a bit aggressive, did not seem welcoming, did not return my call and misplaced my personal items she had asked to copy. I found her to be very professional and caring. She was willing to spend the time necessary to listen to my explanation of the problems I was experiencing and respond accordingly. Her staff is very friendly and helpful.